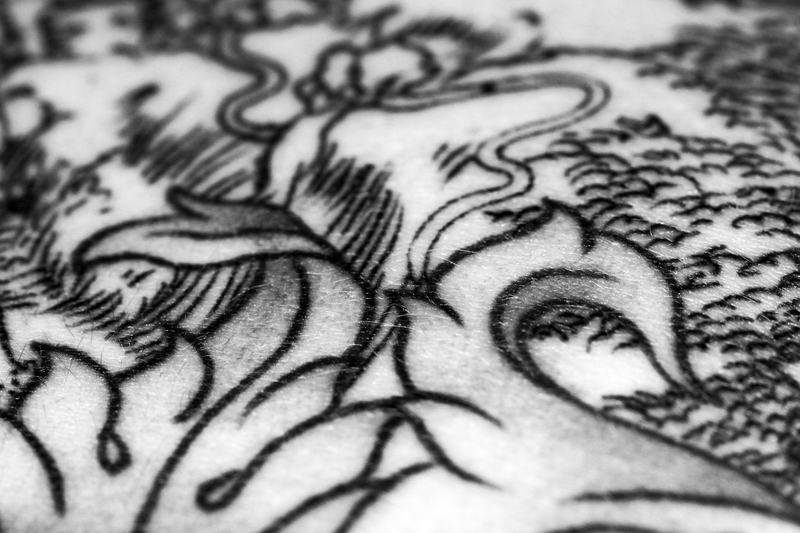 My back tattoo was completed recently, with the center area designed to resemble an etching by Albrecht Durer. The tattoo is by Dennis M Del Prete of Providence Tattoo. I appear as a tiny dot on a road winding through the landscape. What will I discover?